You're at Dia de los muertos not just a simple Sugar Skull bride. No, you are a real undead lady who still shows the style and grace of her once living body. 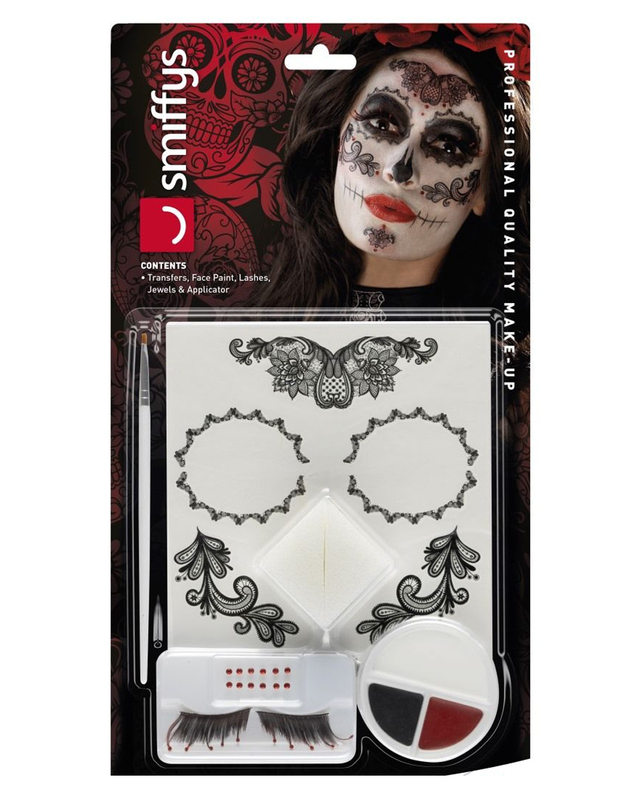 With the Day of the Dead Glamour Make-up Kit you set a real highlight at the celebration of the Day of the Dead. You are the skeletonized bride that even the living will still admire. 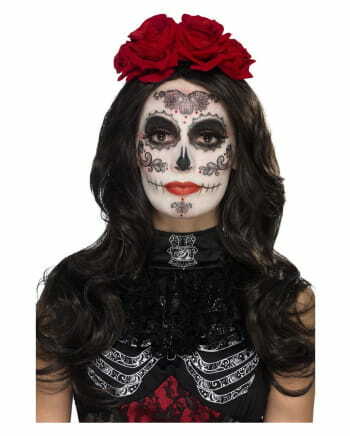 The Day of the Dead Glamour Make-up Kit is also the perfect choice for Halloween parties. The 14-piece make-up kit has everything Sugar Skull Divas need to get ready for the day of the dead. The three make-up colours can be easily applied to your face with the enclosed sponge and brush to create a gruesome pale base. First you give your skin a beautiful pale complexion, as it should be for real undead. With black you can refine contours and with red you can embellish the lips. 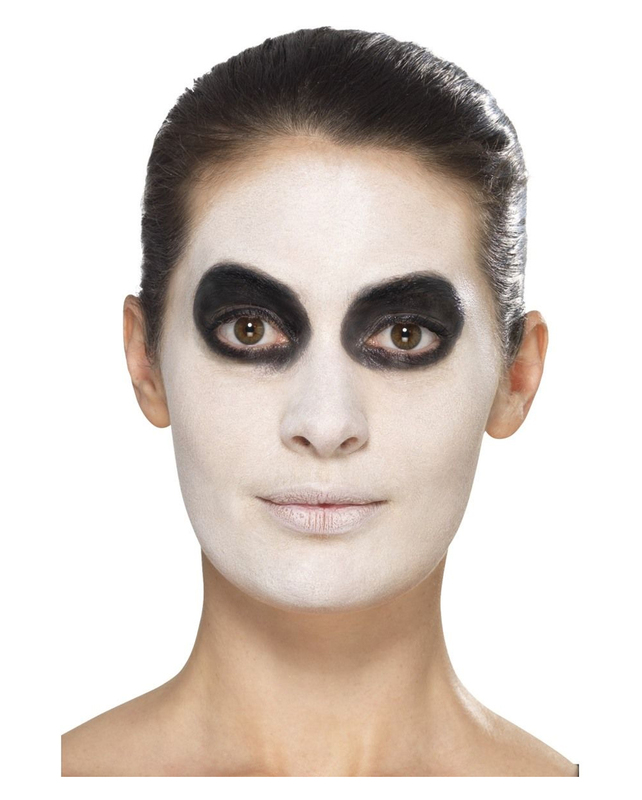 Then you stick on the adhesive tattoo in the style of a real Sugar Skull bride. Please make sure that the tattoos are very filigree and therefore also look so remarkably glamorous. Then refine your skeleton look with the red glittering stones, which are also part of the set. Just stick on your eyelashes and there's nothing to add to the undead diva. In the shop you'll find a lot of Day of the Dead costumes like the Día De Los Muertos Hair Circlet With Bloody Roses. 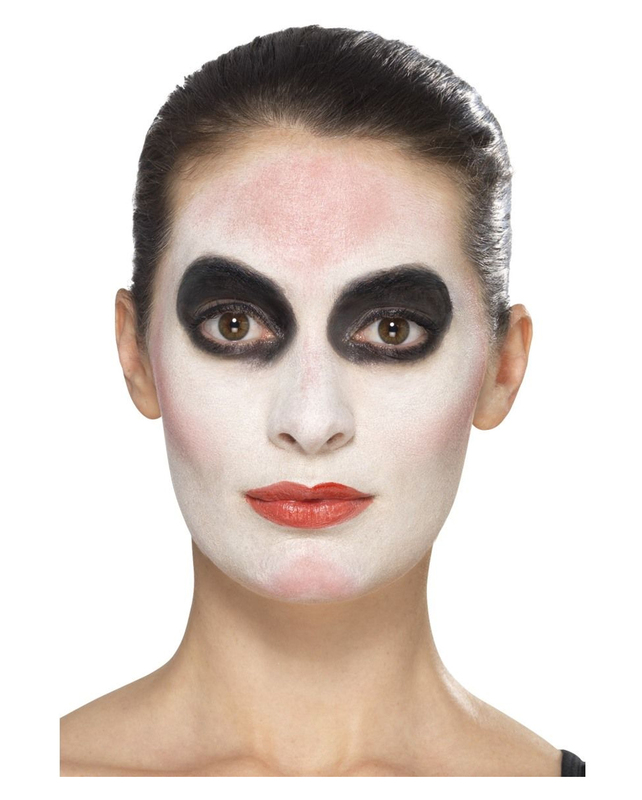 As with any make-up, allergic skin reactions can occur in sensitive persons. It is therefore recommended that a test be carried out in the crook of the arm before using the product in order to rule out any possible allergic reactions. Apply the product to a small area of the crook of the arm and allow it to work for about 30-60 minutes. If an allergic skin reaction occurs, the use of the product is not recommended.